How to Fast Share Games on Steam? 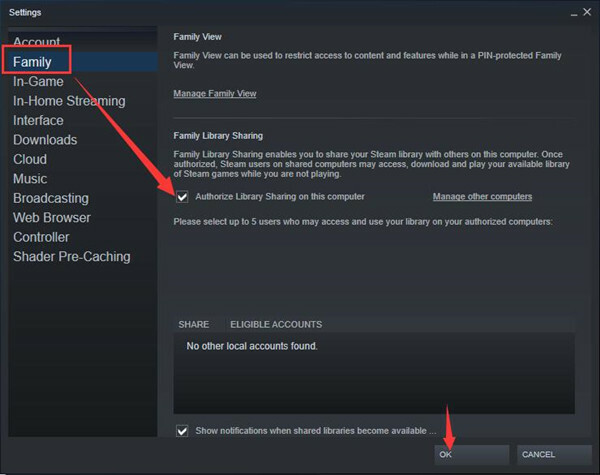 How to Disable Steam Family Sharing? Sometimes, gamers would like to share Steam games with their families or guests, like Gigantic, Art of War, Rocket League, Fractured Space, etc. Thereupon, after the long-time test, Valve has released a new Steam feature – Steam Family Sharing, to enable game lovers to do game share on Steam. Since Steam Family Library Sharing is a new feature for games, here comes the details introduction to Steam game sharing. And more importantly, you can also learn how to share Steam library easily. As you know, Steam, developed by Valve Corporation, is the digital distribution platform for purchasing and playing video games. And the Steam Family Sharing is used to allow you to share the personal game library on Steam with your friends and families. Here the games to be shared should be the ones you purchased or downloaded rather than the copied version of games like Left 4 Dead. 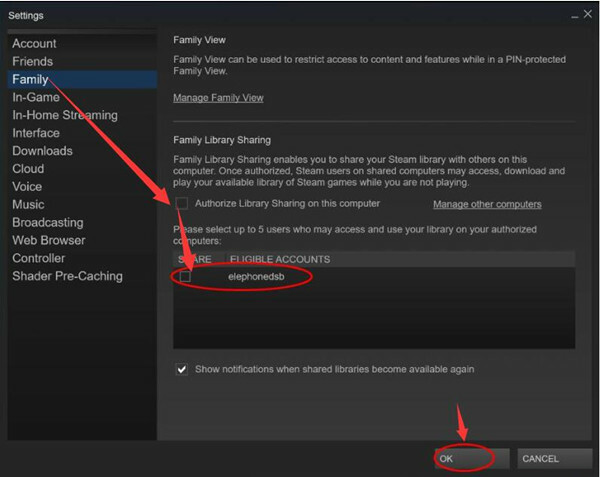 Now if you do hope to share games on Steam, get started to set up and enable Steam Family Library Sharing. 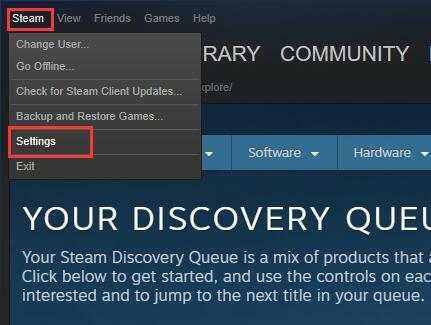 To make things easier, you need to make sure both the computer where the Steam Family Sharing library is located and the account you feel like sharing game libraries which are accessible. Therefore, there are mainly two parts in order to enable game share on Steam, namely, setting up Steam Family library sharing on your PC and sharing Steam games by configuring settings on your friends’ or families’ PC. 1. Double click Steam Desktop to open it from the Desktop. 2. Login into Steam with the account that shares the game library with others. 3. On the top left corner of Steam, hit Steam and then select Settings. 4. 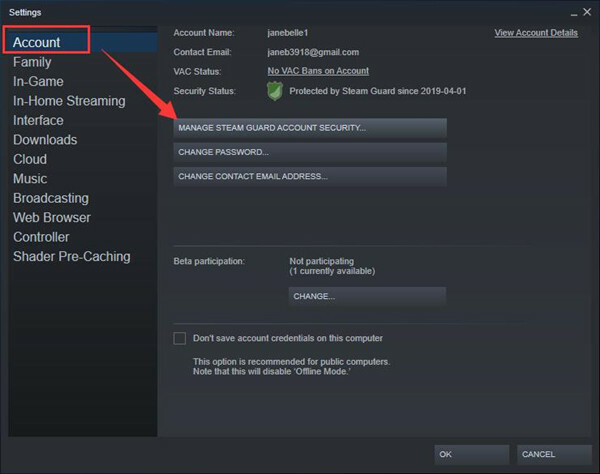 Then under Account, hit Manage Steam Guard Account Security. 5. In the following window, tick the circle of Get Steam Guard codes from the Steam app on my phone or Get Steam Guard codes by email. If necessary, choose these two options at the same time. 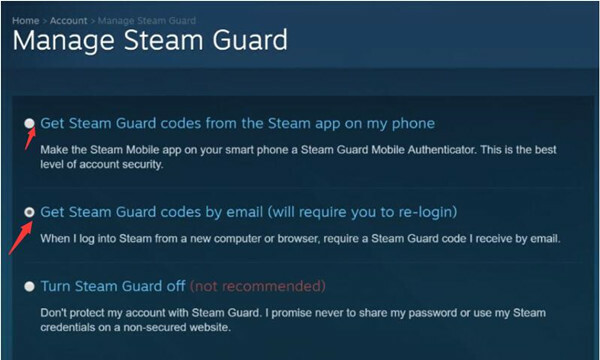 Possibly, you are entitled to share Steam games using Steam Family Sharing feature after turning on Steam Guard Security on your PC. 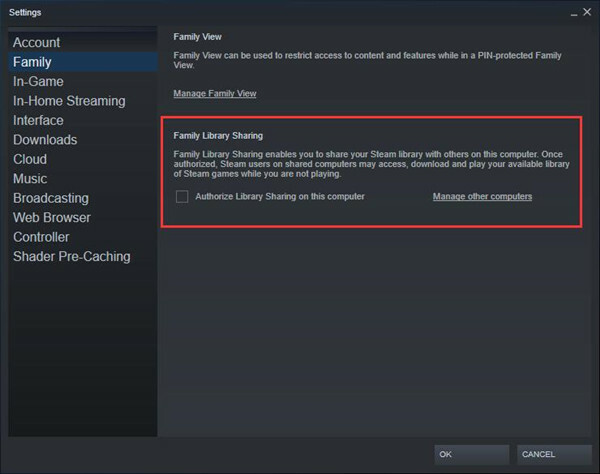 You are now supposed to enable Steam library sharing on your families’ or friends’ PC if you wish to share games with them with their own game achievements retained. 1. On another PC in need of a shared game library, log in Steam with your account. 2. Hit Steam in the top left corner and then pick out Settings as well. 3. Under Family, locate Family Library Sharing and then check the box of Authorize Library Sharing on this computer. 5. Log out of your Steam account and then let your friends or families sign in with their Steam account. In a large sense, you have successfully added your family and guests to the Steam platform. That is how to share a library on Steam from your PC to your friends. Upon finishing game share on Steam, your friends or families are able to play the shared Steam games. And it is not until the time when you login in your Steam account to play a game that they have to quit and save the games as there will be only one account to access the shared game at one time. Question: How Can You Play the Sharing Games from Your Families or Friends? Similarly, to play Steam games downloaded or purchased by others, just try to login into Steam on others’ computer and then choose the game you want. At last, manage to Request Access. At this moment, it is predictable that you get the hang about how to share Steam games with friends with the new functionality – Steam Family Sharing. What’s more, you would play Steam games as if they are yours. Nevertheless, in some cases, after adding others to shared Steam games, you would better stop sharing games on Steam. It is also foolproof to disable the game from sharing on Steam. Just log in with the primary Steam account and then uncheck the box of authorized users in Steam client in Steam > Settings > Family > Authorize Library Sharing on this PC. In this way, you will find Steam Family Sharing is not working on Windows 10 and it is also available for you to remove shared game on Steam as well. Here considering the fact that most gamers would rather their games be shared, there is more specific and useful information you need to know about Family Sharing Steam. Below is the most common and frequently asked question regarding the Steam family library Sharing. If you have shared Steam games, why not learn to make the best use of the Family Sharing on Steam. Why Do I Need to Share Steam Games? How Many User Can I Share with Steam Family Sharing? Normally, there is some time you wish your Steam game library containing game achievement be shared with your partner, friends, but you don’t want them to play on your PC with your account. In this way, Steam share comes into use and makes it possible to let others gain access to your games and maintain their own achievements at the same time without using your PC and your Steam account. For another thing, there does exist limits for the number of devices that can be shared by you on Steam. In short, you can only share Steam game library within another 5 Steam accounts on at most 10 devices connecting to the Steam network. Do I Need to be Online to Play a Sharing Game? Yes, you are supposed to go online if you wish to enjoy the game shared on Steam. You can’t play Steam shared games offline. Can I Share a Specific Game with My Friends and Families? No, you can’t share a specific game with others as Steam Family Sharing needs to share games as an entirety. You can only send all the game libraries to your friends through Steam Family Sharing. No, only the supported games, not all games on Steam, can be added for your friends. Can Steam Shared Games be Played at the Same Time? No, there can only one account can play the shared Steam games at one time. Hence, it is impossible to share the game and play together with two or more different accounts. Why the Shared Game on Steam is Unavailable after Game Share? Sometimes, even if the game has been shared from the game folder, you will also find it unusable as there is perhaps another user playing the game. So you should wait until that user stops playing the game. What if Someone Else Misconducted or did fraud when Play My Games? If the one you shared Steam game library with cheated or misconducted in your games, Your Family Library Sharing privileges may be revoked and your account may also be VAC banned. Therefore, don’t give grant your password to anyone and makes sure people play the sharing game behave well in games. In a nutshell, by referring to this post, you would be capable of sharing games on Steam so as to play games with friends.